I had been hearing a lot of information about CritterZone on the Internet, so when I saw them at a booth at BlogPaws 2013 this past summer, I knew it was a sign! Once I got the air naturalizer home and started seeing immediate results, I regretted waiting so long to get one. 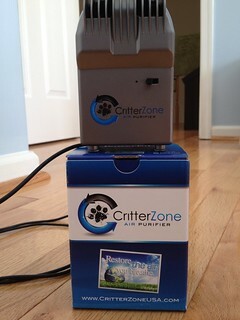 The CritterZone Air Naturalizer creates a natural, charged flow that fills a room or vehicle and continually cleans the air. See, the sun provides the outdoor air with the power and energy it needs to clean itself: a power and energy that indoor air lacks. But the CritterZone provides indoor air with the natural charge it needs to virtually eliminate odors, allergens, dust, and bacteria. The natural, charged flow continuously fills the room, and keeping the flow continuous is how an air naturalizer as small as the CritterZone can be so effective. 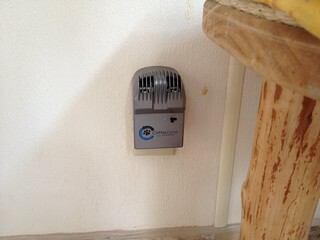 Thus, it’s an air purifier that eliminates odor in an area up to 800 square feet without chemicals. It helps with mold, mildew, allergies, and asthma. It also helps in areas that have annoying smells in them, like pet beds, cages, aquariums, litter pans, dog kennels, garbage, vehicles, dirty diaper pails, bathrooms, basements, laundry rooms, and garages. There’s nothing to replace, refill, or clean. It’s powerful, compact, and comes with three different settings. It also can be purchased in corded units, in wall units, in travel packs, and with car adapters. Ultimately, Mark & I have been impressed to find something so tiny that does so much work – and does it so well! Clean air is important for everyone’s health. Air quality can be significantly more important to certain people, such as babies, seniors, and those with respiratory issues. Americans spend approximately 90% of their lives indoors, which can be the dirtiest air we breathe. The Environmental Protection Agency (EPA) estimates that, on average, indoor air can be two to five times more polluted than outdoor air. There are many sources of indoor air pollution within any home, including pets, dust, bacteria, and odor-causing particles. The list can also include pollution from tobacco use, exhaust, central heating and cooling systems, and even humidification devices. Outdoor pollution can even creep in and affect the quality of air inside the home. Inadequate ventilation can increase the pollutant levels by not bringing in enough outdoor air and not carrying enough pollutants out of the home or business. How much will my electric bill increase? 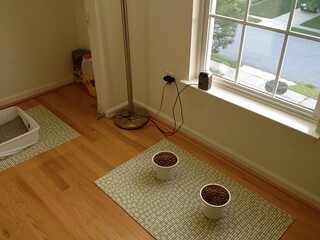 We doubt that you will even notice a difference on your electric bill from the CritterZone. The Air Naturalizer consumes only 3 watts of energy on the highest setting. To compare, a typical lamp consumes about 60 watts. So even with the CritterZone Systems running continuously, improving your air quality will not create a significant difference on your electrical bill. You don’t! There are NO FILTERS to change, buy, or upkeep. CritterZone Air Naturalization technology is designed to go out and get pollutants, rather than just filter the air that happens to pass through it. The only upkeep required is a quick cleaning every few months, or as necessary, depending on the level of pollutants in your air. Cleaning the Air Naturalizer is a simple as swiping between the vents with a cotton swab to remove the debris that can collect as it works. Where should I put my CritterZone? Optimal location depends on your essential air quality goals. For allergy sufferers, the ideal location would be in your bedroom considering most people spend 1/3 of their life in there. If your allergies are caused by your pets, you may want to keep the purifier where your animals spend most of their time to help control their dander. Odor control is as simple as keeping the CritterZone near the source of the odor: litter pans, kennels, kitchens, bathrooms, garages, and garbages… the list goes on. 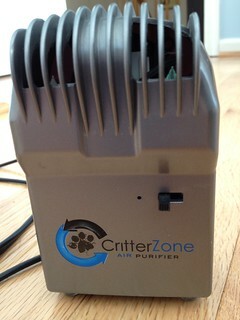 Ideally, give your CritterZone room to breathe. Air circulation helps the Air Naturalization process and its effectiveness, so oscillating and ceiling fans are fantastic. Humidifers can be helpful, too. 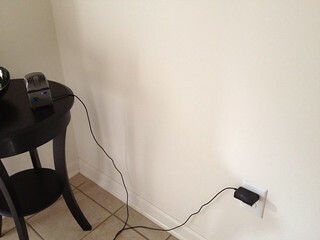 Wall units are designed to be plugged into the wall, not into power strips or surge protectors. 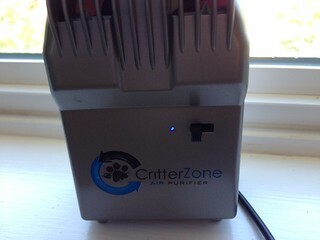 Will the CritterZone clean the air for my whole house? While an individual CritterZone Air Naturalizer is quite effective and can restore the air for up to 800 square feet, indoor air quality should be examined on a room-by-room basis. Air flow and circulation can be limited by walls, doors, tall furniture, and other barriers, which can limit the effectiveness and the path of the natural energy produced by the CritterZone. Whole Home Systems are designed to fit your personal air quality concerns with the size and structure of your home or office. What else can I do to improve my air quality? Removing the pollutant at its source is always ideal. 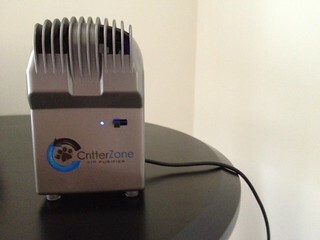 CritterZone can help prevent mold growth, but for existing mold issues a dehumidifer might be necessary. Ventilate as much as possible when performing activities that cause high levels of pollutants such as cleaning, painting, sanding, etc., and don’t forget how portable your CritterZone is: Keep it near you during these activities, in addition to its normal placement where it can run 24/7. The verdict? Though I can’t get too technical to describe the process of how it all works, I can say that Mark & I both highly recommend the CritterZone. It doesn’t cover smells, like sprays, fragrances, scents, oils, and such do when they mask the air; it eliminates them entirely! In the past we have tried so many things on the market in an attempt to get rid of smells or to simply mask an odor, but the CritterZone gets to the core of it and removes it all! We’ve used it for different smells on different floors in our house, like for dog and cat urine, and it has worked like magic! I’m thinking of getting one for my mom’s office that she smokes in. Though she uses a fan, it isn’t enough, and I always notice a stale cigarette smell in that room. She probably doesn’t notice it at this point, but I’m sure my dad has to. If you purchase this product, please let me know what you think! CritterZone is offering my readers a special promotion! You can get $10 off the $89.95 retail price on the CritterZone Wall Unit or the CritterZone Corded Unit.